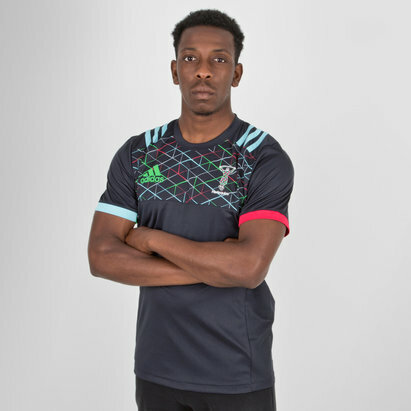 Whether it's at The Stoop, training or out and about make sure you're comfy in this Harlequins 18/19 T-Shirt from adidas. 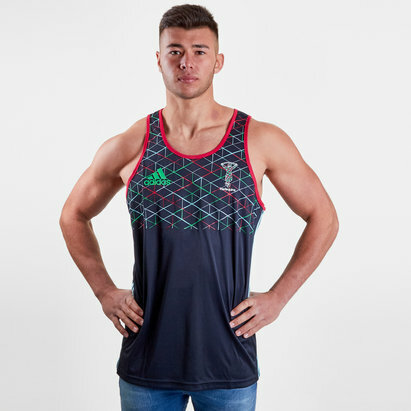 The Gallagher Premiership's heavyweights Harlequins FC have a new training and match day clothing collection. 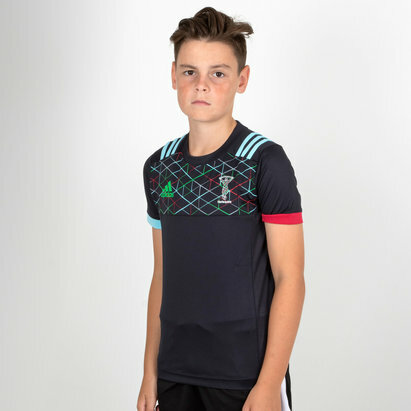 adidas have worked hard to include Harlequins famous 6 colourway and add the touch of the jester, the club's motif for over 150 years. 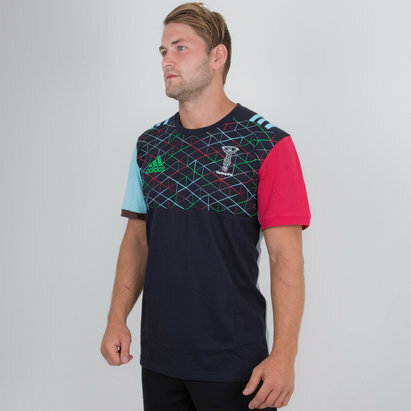 This t-shirt features four of the Quins famous 6 colours. Sky blue, red, green and navy are seen throughout this t-shirt with classic elements of adidas. The shirt is predominantly red. The top of the t-shirt has a section displaying a diamond pattern in red, green and sky blue. 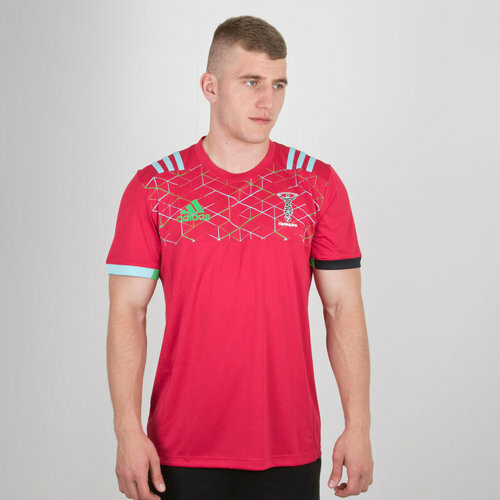 The adidas three stripe motif is on the shoulders in sky blue whilst the adidas logo is printed in green on the right as worn. The cuffs of the sleeves feature one sky blue in colour and one navy. The Harlequins crest is on the left.